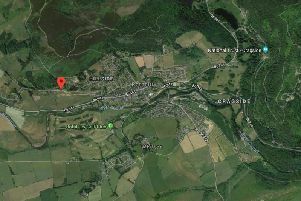 Councillors will visit the site of a proposed farm development in north Northumberland before making a decision, following a request from the applicant’s agent. An outline application for the demolition of an existing building and redevelopment of Christon Bank Farm for up to five homes was recommended for refusal, despite the support of Embleton Parish Council, at last Thursday’s (March 21) North Northumberland Local Area Council. The applicant’s agent, Craig Ross, of George F White, said these latter issues can easily be resolved so the crux of the scheme is the principle of development, appealing for the committee to take a look for themselves rather than just rely on ‘non-existent settlement boundaries or out-of-date policies’. Members unanimously agreed to defer the decision for a site visit.